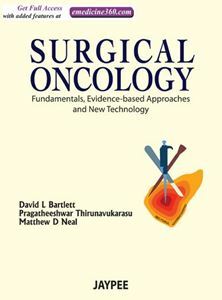 This book incorporates the basic tenets of surgical practice with the innovations of modern technology in an evidenced-based fashion. It serves as a guide for not only the surgeon-in-training but also for the practicing clinician who faces the challenge of summarizing the plethora of research in cancer therapy. The goal of this book is to create a resource that will present the opinions of experts in the field alongside an analytical and unbiased review of the evidence.